We aspire to make the ancient teachings of the Veda accessible to you, irrespective of where you are and allow you to study at your own pace. 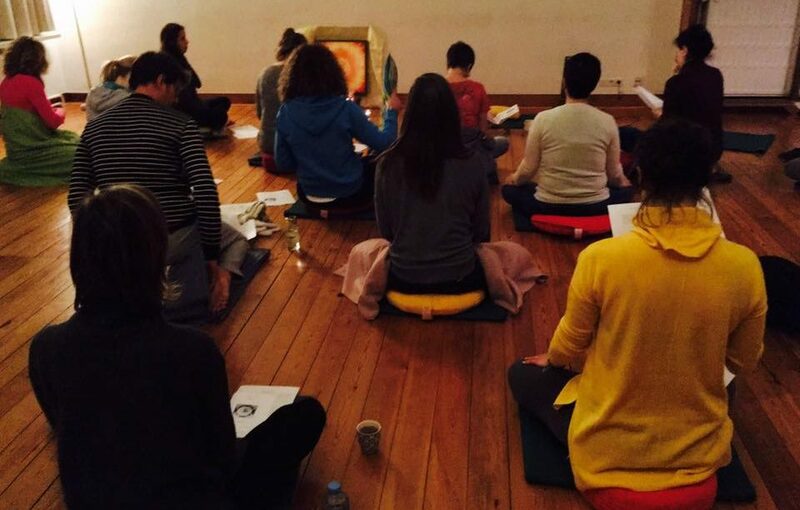 The chanting of the Vedas is a meditative first step towards understanding this sacred literature. Handed down through śruti parampara or oral tradition over millenia, strict rules of recitation are observed, requiring your complete attention and concentration during the practice. These Vedic hymns were revealed to the great sages of ancient India, in deep meditative states and are mystical poetry that hold secrets which through recitation, study and meditation will reveal themselves. All our courses help aspirants understand the deeper meaning of the Vedas and their relevance in our daily modern lives. We value the sharing of knowledge in a structured way, with clear learning objectives and step by step methodical lessons. 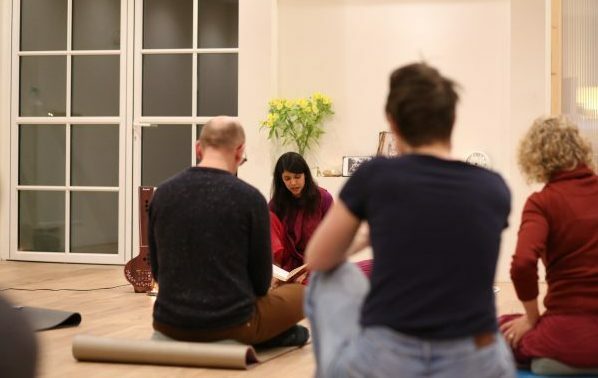 All of the transmission of knowledge that takes place in a traditional ‘adhyayanam’ – the humble process of repeating after a teacher, have been replicated in our courses in creative ways – with the use of audio, video, text and colour coded marked text allowing you to access all the minute details that you would receive in the presence of a teacher. 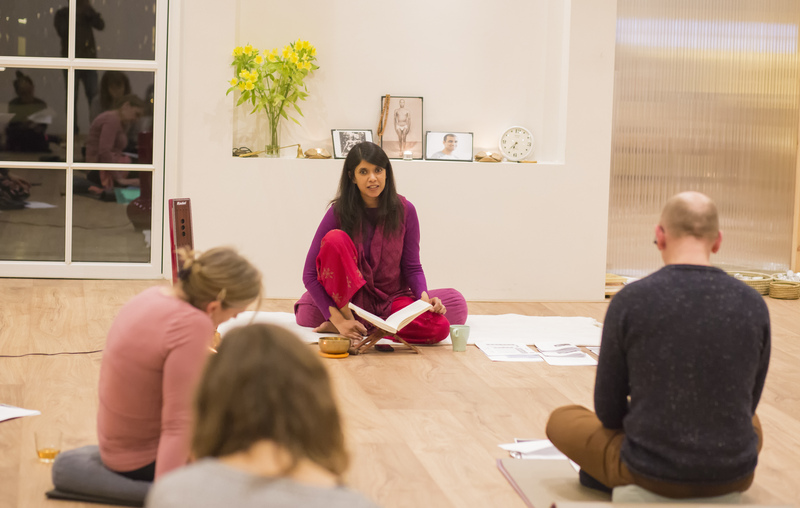 Classes are taught by Shantala Sriramaiah, born and raised in Bangalore, India. She studied Sanskrit and chanting from an early age, as part of her family tradition as well as in school. Much of her inspiration comes from her mother Saroja, who taught chanting classes in their family home for over 30 years. She continues studies with vidvān Sreenivasan of the Challakere Brothers, who lays great emphasis on the subtle rules of Vedic phonetics. An Engineer by qualification, she left a 20 year career as head of Human Resources to start sharing Veda recitation. All our courses reflect her long background in Learning & Development with clear learning objectives, structured lessons, discussion areas for interaction with the instructor and other students, quiz and assignments for evaluation and certification with clear criteria where appropriate. Shantala aspires to continue her family tradition while making this beautiful practice accessible to an international audience.